The ancient Greek Father of Medicine, Hippocrates penned that “all diseases begin in the gut” and that for true healing and optimum health that we need to exercise, “let medicine be thy food and food thy medicine” and the “natural forces within us are the true healers of disease”. The word “diet” comes from the ancient Greek “diaita,” which means “the way of life.” In Ancient Greece, a diet was about good health and one component of that was food. Good health required the nurturing of the mind, body and soul. The diet was a key component to ensuring good gut health and a healthy immune system. The Ancient Greeks also noted the correlation and the link between the gut and emotional/brain health. The gut plays an important role in our emotional health and our digestion actually plays a key role in our natural immunity to diseases. The gut helps keep toxins at bay. A healthy gut will have the ability to break down or neutralize the toxins that may have been taken in along with some food or the environment. It breaks down food and helps in the extraction of essential nutrients that the body needs to perform. The gut has an entire ecosystem of bacteria and yeast – some beneficial to us and others toxic. Like all ecosystems the delicate balance of the digestive tract can be altered by various toxins including antibiotics and other drugs, chemicals like chlorine and fluoride in our water, food additives and preservatives, GMOs, stimulants like coffee, and an overabundance of difficult-to-digest foods like improperly prepared whole grains and non-organic meat. When the balance of micro-organisms in your gut is out of balance and the “bad bacteria” proliferate these bad bacteria produce toxins which can weaken your immune response. They also interfere with the proper absorption of nutrients into your blood stream. It is possible to eat a nutrient-rich “high vibrational food” diet of real foods and still be nutrient deficient because of poor digestive health. Realize that your body is the garment of your soul and then you will preserve it pure. As he who wishes the best fruit must pay attention to the land, so must the greatest attention be paid to the soul if it is to produce fruits worthy of its nature. 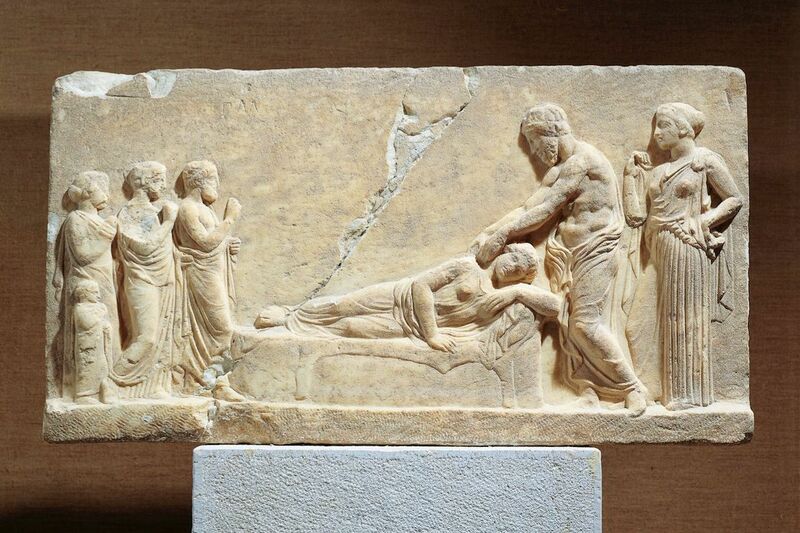 The Ancient Greek Hippocratic way of healing was ‘wisdom healing’: using food to nourish the mind, body and soul. It is important to eat an abundance of food that is good for our gut health and to keep to a minimum or avoid all foods that are not beneficial to the gut. Cook and eat ingredients and foods with a high vibrational frequency. These include fresh certified organic fruit and vegetables food (especially greens and living grains such as sprouts), natural supplements e.g. spirulina, herbal teas, herbs and spices, pure or filtered water – reverse osmosis or freshly collected spring water are the best choices (fluoride and chemical free), good oils e.g. olive oil, coconut oil and avocado oil. Eat raw foods, dehydrated and lightly steamed food e.g. anything in its uncooked, minimally processed raw, sprouted and organic state, raw nuts and seeds, fermented foods, raw chocolate, natural sweeteners such as raw honey, grape must and maple syrup, legumes, grains such as couscous, kamut, buckwheat, brown rice, amaranth, spelt and barley and incorporate Omega-3 to Omega-6 fats and foods. Keep to a minimum or avoid low vibrational foods and ingredients. These include genetically modified (GMO) food, and conventional food that has been treated with chemicals and pesticides, white rice and flours, sugars, artificial sweeteners (unhealthy bacteria thrives on sugar), coffee, sodas, alcohol, meat, fish and poultry, processed, packaged, canned and fast foods, unhealthy oils e.g. canola, soy, cottonseed, margarine, lard and vegetable oils, frozen foods, pasteurized cow’s milk, yoghurt and cheese and cooked foods that are deep fried and microwaved. If you eat meat make sure it is organic or at the very least grass fed and grass finished. Ensure that fish and prawns are not farmed. Avoid tilapia, farmed salmon and farmed prawns. These are usually fed toxic GMO feed. When eating fruit and vegetables eat a variety of colors. Eat fruit and vegetables that are in season for optimum nutrition. Hippocrates believed that most disease began in the gut and called fermented foods “probiotic” meaning “for life”, in Greek. In ancient times doctors prescribed sour milk, yoghurt, apple cider vinegar, and pickles for digestion following the wisdom of Hippocrates. In addition the Ancient Greeks also used sauerkraut (salted shredded cabbage exposed to air) to treat and prevent intestinal infections. Fermented foods include Greek yoghurt, kefir, sauerkraut, miso, kimchi, kombucha, and raw pickles. These probiotic foods help detox the gut and our immune system. (3) Adopt healthy and happy thoughts. Day by day, what you choose, what you think and what you do is who you become. Those who approached the Oracle at Delphi were encouraged to have “good thoughts”. An excess of unhappy thoughts can cause an imbalance in the body and lead to many illnesses. Inner balance and agapi cannot coexist with worry, stress, anger, frustration, fear, anxiety and competitiveness. These feelings or experiences do not create good feelings or good energy when cooking, eating or for our health. Ultimately, we are responsible for our health and well-being, so it’s important to substitute fear with faith. To assist with emotional health the ancient Greeks incorporated meditation therapy, prayer therapy, eating therapy, music therapy, light therapy, chakra therapy, massage therapy, sun therapy, exercise therapy etc. For example Aristotle knew that the power of music could heal the sick and many doctors in ancient Greece used vibration to aid in digestion, treat mental disturbance, and induce sleep. Aristotle in his famous book De Anima, wrote that flute music could arouse strong emotions and purify the soul. The natural forces within each of us is the greatest healer of disease. You know your body better than anyone else so it is important to meditate, be still and to listen to what is requires for healing. Ask yourself what you would like to cook and what ingredients to cook with. When you know yourself and trust yourself you gain your own voice and guidance as to what foods are right for you and your body for good health. Another important eating practice for good gut health and immunity is to eat with peace, calm and joy. It is important not to rush meal times. In Greece, people leave their work for lunch to go home and to enjoy the meal with their families and friends. When we rush our eating time it interrupts the harmony, the flow of energy and the time needed to enjoy a meal that in the end will nourish and heal our body and soul. To ensure a long, healthy life we all need to eat mindfully and to become aware of the food we eat. We also need to take note of how the food we are eating affects the way we feel. In summary it is important to eat and think for the purposes of nourishing our mind, body and soul. Eat clean ingredients free of chemicals and pesticides and incorporate probiotic foods- just like they did in Ancient Greece. Do things in life that make you happy to ensure a healthy, happy mind and thoughts; and, of course, get some moderate exercise daily. Maria Benardis, a motivational speaker, award-winning author, chef, health and wellness coach, and founder of Greekalicious. She has offered “Cooking with Agapi” classes at prestigious venues including The Natural Gourmet Institute, Brooklyn Kitchen, Sur La Table, Williams Sonoma and Haven’s Kitchen. She’s a food and health blogger and author of four books that share Ancient wisdom from her Greek heritage with the modern world. While offering live cooking classes, demos and talks Maria imparts the wisdom of Ancient Greek doctors and philosophers, recounts dramatic narratives from Greek mythology, shares personal anecdotes from her life on the Greek islands and and perhaps most importantly, tells the inspirational story of her extraordinary transformation. Maria is dedicated to being the catalyst in awakening people to Ancient Greek wisdom and practices that help them live their optimum health, wellness and life. Follow Maria on Facebook, Twitter and Instagram. Get her best-selling My Greek Family Table here.